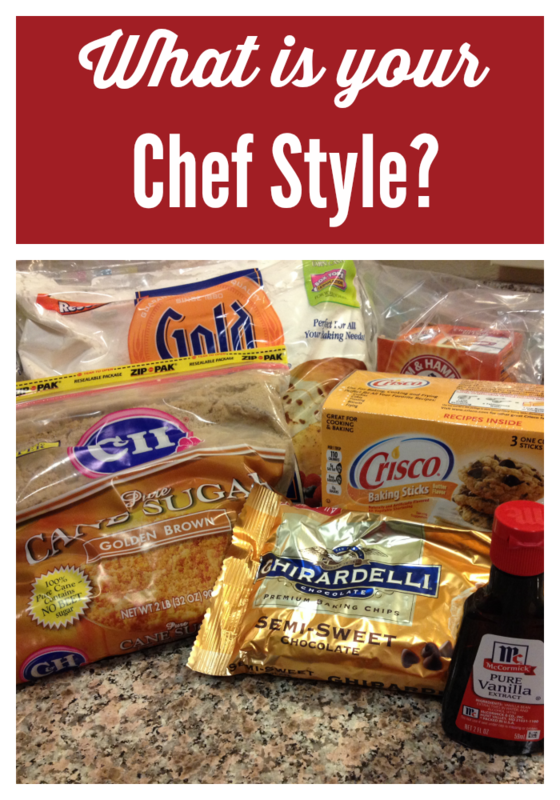 What is your chef style? I’m not talking about your rank in the kitchen, but the manner in which you behave in the kitchen. Do you clean up as you go along or do you make a giant mess and clean it up at the end? Or maybe you are lucky enough to have a wonderful mate who doesn’t mind cleaning up your giant mess since you create such wonderful culinary delights. Me, I’m a control freak. I want to be the one who cleans the dishes and the kitchen so I know it’s clean. Others are lucky enough to have a sous chef of sorts…someone to follow along behind them as they cook, cleaning up messes, even chopping up vegetables when needed. Again, I’m too much of a control freak, unless it’s Thanksgiving, then I’ll take all the assistance I can get. I just want all the food to be on the table at the same time and be hot. Cleaning up can happen after pie. I’m the kind of person who likes to get out everything and set it on the counter, like I’m on a cooking show. Also, I just like to make sure I have all of the ingredients and tools needed to make whatever concoction I’m attempting. I used to get things out as I needed them, but I kept realizing that I was out of an ingredient. It only took about 30 times for me to realize that I might want to check my stock first. Some things I leave in their place, like refrigerated items, until I need them, but I still do a check before cracking eggs or pouring milk. What about you? Do you get everything out or just grab and go? This entry was posted in Food on May 30, 2014 by Amy Ruiz Fritz.